TAMPA, Fla. /Florida Newswire/ -- Attorney Bernard Walsh of the Bradenton office of Shapiro Goldman Babboni Fernandez & Walsh gave a presentation at the APITLA Interstate Trucking Super Summit. Entitled, "How an Attorney Works a Trucking Case: The A to Z Basics," the CLE accredited seminar instructed the audience of attorney and law students. MIAMI, Fla. /Florida Newswire/ -- Bernard F. Walsh, Esq., from the Bradenton office of personal injury law firm Shapiro Goldman Babboni Fernandez & Walsh, spoke at the 2017 Trial Lawyers Summit about trucking accident representation for plaintiffs. Billed as "the number one conference of the year," the Trial Lawyers Summit draws top civil trial plaintiff's attorneys and criminal defense attorneys from around the nation. 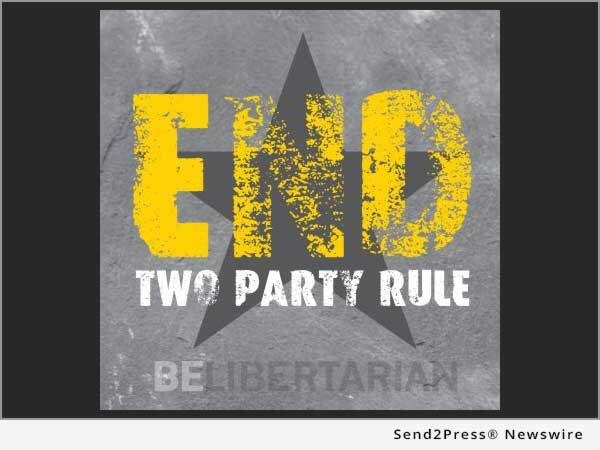 AUSTIN, Texas, July 5, 2016 (SEND2PRESS NEWSWIRE) -- Texas Libertarian Candidate Dr. Mark Miller urges voters to declare independence from two-party rule. With Govs. Gary Johnson and Bill Weld representing the Libertarian Party at the top of the ballot this year, the next highest contest in Texas will be the statewide election of Texas Railroad Commission, for which Miller is running. 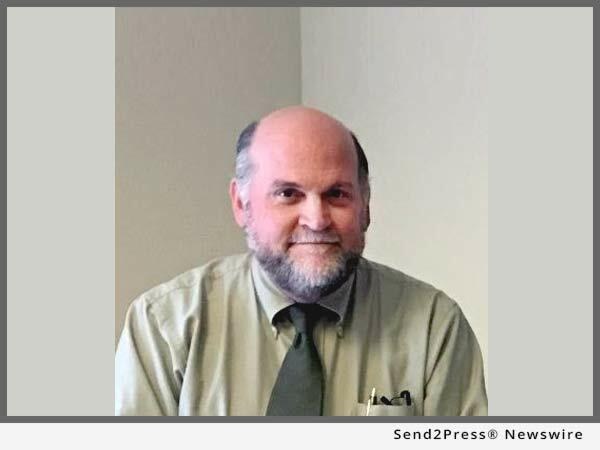 SAN JOSE, Calif., June 16, 2016 (SEND2PRESS NEWSWIRE) -- WMH Corporation, a specialist in transportation infrastructure design, is pleased to welcome Dan Collen, PE, as a Senior Consultant. Dan brings over 35 years of experience in transportation design and planning to the WMH team. Before joining WMH, Dan spent his career at Santa Clara County Roads and Airport Department. LOS ANGELES, Calif., May 9, 2016 (SEND2PRESS NEWSWIRE) -- EZER, the app that connects those with trucks to businesses or individuals who need their stuff picked up and delivered, will showcase at Apps World North America on May 11 and 12 in Santa Clara, Calif. The EZER booth will be located in the Startup City section of the expo at space S28. RALEIGH, N.C., May 6, 2016 (SEND2PRESS NEWSWIRE) -- Capital Auto Rental in Raleigh, a division of Capital Ford, is celebrating their grand opening by hosting an After Hours Business Event Tuesday, May 17 at 5:30 p.m. The event, in conjunction with the Greater Raleigh Chamber of Commerce, will be held at the new Capital Auto Rental office, 2801 E. Millbrook Rd. ROCKY MOUNT, N.C., May 3, 2016 (SEND2PRESS NEWSWIRE) -- It is a great privilege for Eagle Transport Corporation to announce Darryl Nowell as the 'Professional Tank Truck Driver of the Year - Grand Champion' for 2015-2016. The prestigious award was announced on April 25, 2016 at the National Tank Truck Carrier's Annual Conference in San Diego, Calif. This honor exemplifies Darryl's incomparable trucking career. NORTH BRUNSWICK, N.J., May 2, 2016 (SEND2PRESS NEWSWIRE) -- Capacity LLC, trusted leaders in order fulfillment, e-commerce, and electronic data interchange (EDI), has released a brand new eBook to help business owners who want to find a third-party fulfillment solution. ASBURY PARK, N.J., March 14, 2016 (SEND2PRESS NEWSWIRE) -- Move For Hunger today announced that it has again been selected to receive the annual J.L. Simmons Non-Profit PR Grant for 2016. The Grant, launched in 2000 by Neotrope(R) helps worthy causes raise visibility to media and public for the charity's good works. BRADENTON, Fla., March 11, 2016 (SEND2PRESS NEWSWIRE) -- Attorney Bernard F. Walsh was published in the Lawyer's LogBook, a legal industry periodical that includes articles from some of the nation's best plaintiff's attorneys. 'The A To Z Basics Of A Trucking Accident Case,' advises attorneys who may be considering representing the victims of heavy truck accidents. HOUSTON, Texas, Feb. 18, 2016 (SEND2PRESS NEWSWIRE) -- Victory Packaging and Move For Hunger are proud to announce their continued partnership in 2016, to help fight hunger and provide much-needed food to local food pantries across the United States. As a proud partner of the national hunger-relief organization for the past four years, Victory Packaging supports Move For Hunger's efforts to reduce food waste and fight hunger. BOLINGBROOK, Ill., Jan. 25, 2016 (SEND2PRESS NEWSWIRE) -- As of January 1, 2016, Midwest Fuel Injection Service Corporation (MWFI), which operates under the Seidel Diesel Group, has a new president - Paul Thoms. In 1992, Thoms was hired as the shop manager for MWFI's Orland Park facility. Three years later, he helped open the Palatine Branch and became branch manager. Over the next 15 years, he was instrumental in its successful start-up and growth. LOS ANGELES, Calif., Dec 2, 2015 (SEND2PRESS NEWSWIRE) -- Civic Resource Group (CRG) and TransitScreen, Inc. today announced they have joined forces to modernize the transit displays in 46+ different locations across the San Francisco Bay Area as part of the Metropolitan Transportation Commission (MTC)'s Hub Signage program. AUSTIN, Texas, Nov. 17, 2015 (SEND2PRESS NEWSWIRE) -- Dr. Mark A. Miller has published 'Oil and Gas and the Texas Railroad Commission: Lessons for Regulating a Free Society' (ISBN: 978-1518810398), a new book that examines the complexities and impact of the regulatory actions of the Texas Railroad Commission on matters related to the oil and gas industry.